Bright Local released a study of SEO industry. Their goal was to find out about the companies that provide services using SEO practices. They looked at both the larger firms and the freelancers to compile their data. The information accumulated was taken from 1,700 companies that had fewer than 20 questions to answer. The purpose of this study was to provide a future outlook to those who are in or contemplating using an SEO service company. The information was very thought provoking and raises to some more questions than answers. One of the first facts, which was easily discovered, is that these 10 percent of the companies polled have made a profit of more than $500,000. So that is showing that working with SEO can be a very profitable ventures to those who know how do it properly. The survey found that 55 percent of freelance SEO experts earn less than $30 thousand per year. However, when considering the national agencies that follow the current algorithms, they profited an interestingly larger amount of money. The further data shows that their methods of success may be their key to their larger revenues. New business is a part of any company. 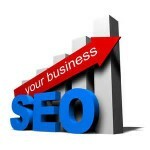 The larger SEO companies, that are making top dollar, are bringing in about 17 new clients per month. Whereas the freelance group is bringing in about 13 new leads on a monthly basis. Leads verses clients are important to differentiate here. An actual client verses just leads is sure money verses possible money. Is it feasible that people feel more comfortable with the more established agency, even though they are charging a great deal more for their services? The old saying you get what you pay for definitely applies here. The freelancers had contacted the least amount of leads in a months’ time, perhaps this can explain why their revenues is small. The larger company is contacting more people and signing many more clients, another reason why their revenues are so much higher. The data collected suggests that freelancers don’t have the time, resources or the contacts to run a business as successfully as they would like too. They don’t have the ability to match a national or regional agency in any capacity. The larger companies are working the system much better and in return bringing in a steady amount of new clients. Perhaps once area where the freelancers are failing is in use of items like Google+ optimization and citation building. Then there are other items that must be considered, like invoicing and billing, most big companies have these small items down pat. But when they are not, it can be a disaster for the freelancer. It seemed that of the people polled, the smaller companies didn’t have their billing down to a science like the larger one. This means they could be miss-billing and missing revenues they didn’t even know they had. The study really showed that using the smaller and less reputable freelance client may not be the way to go. However, one cannot discredit that just because someone has not built their company yet that they won’t’ be able too. It’s just merely saying that for the most part, the larger companies are large for a reason.